W-IDECO is a spot-welded mesh made of galvanized low-carbon steel wire intended for the reinforcement of concrete weight-coated pipelines. 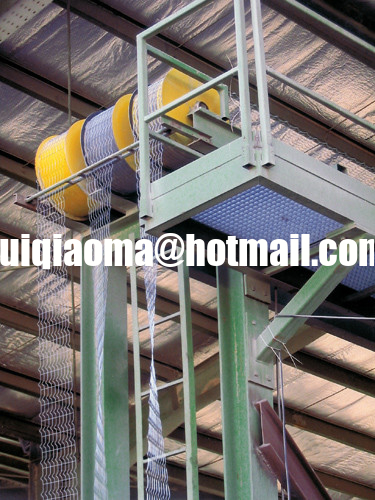 The mesh comprises 10 line wires which deeply crimped in the middle between the cross wires. 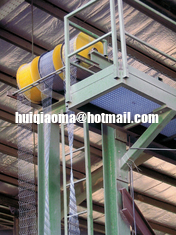 Zinc-coated steel pipe winding mesh to be used as reinforcement for the concrete applied in the manufacture of negative buoyancy pipe needed for laying pipe in marshes or in water. This mesh can also be used as reinforcement for concrete applied to pipe as a bendable or nonbendable mechanical protective coating when laying pipe in a harsh environment. The steel from which the wire is produced shall be made by any commercially accepted steelmaking process and the zinc coating shall either be of a Class 1 or a regular coating. Welded meshes shall be obtained by welding a series of parallel longitudinal wires to transverse wires to form rectangular openings. Stripping and tensile tests shall be performed to determine the coating weight and tensile compliance of the specimen.